Spinal muscular atrophy is a progressive condition that weakens a person’s muscles. When David was diagnosed with it, his doctors believed he wouldn’t live past the age of two. “I’ve always been an overachiever. As you can see, not only have I lived past the age of 2 but I have thrived,” says David on his website. Due to his condition, David experiences pain on a daily basis. He uses a power wheelchair with a joystick to get around. When he takes public transit to work, it expands his 8-hour workday to 11 hours. Because of this, he would find himself working from home quite often. One day, while browsing Twitter, David stumbled upon the Technology@Work program. 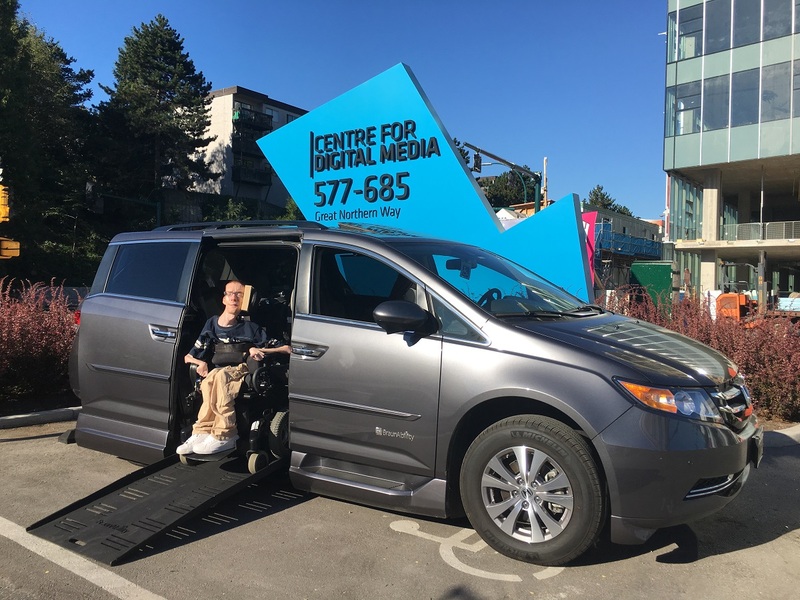 The Neil Squire Society operates the Province of British Columbia’s Technology@Work program that provides people with disabilities access to assistive technologies they need for employment, often at no cost to the client. David says he would “absolutely” recommend the Technology@Work program, adding, “Everyone at Technology@Work was very nice and helpful. The application process was quite simple. Being able to work and earn a paycheque has completely changed my life.